Aloha, friends. 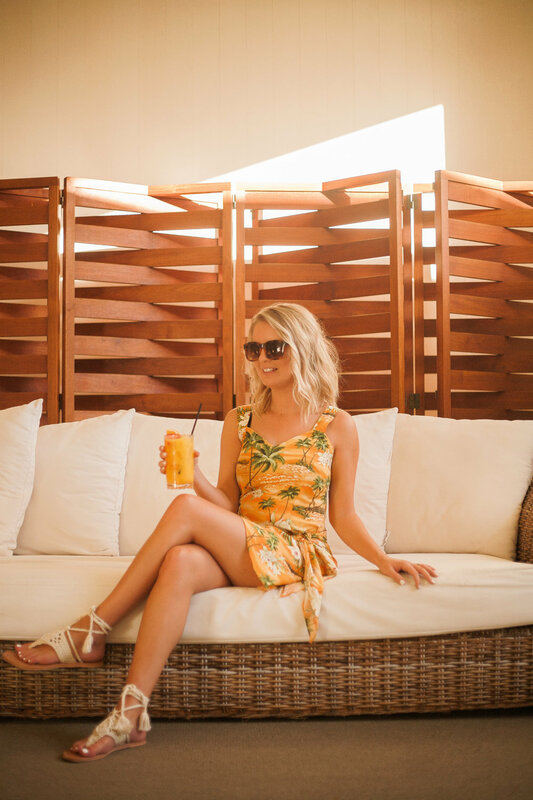 Today I want to share with you a Hawaiian dress and some of my favorite Hawaiian patterned pieces from all over the internet. I think this trend is not only perfect for your vacations this Fall but also for incorporating into transitional fashion as we get into the cooler months. How much Fall and Winter floral did you see last year? I think this trend is around to stay throughout the year. Be sure to stop into the TD Shop to check up on my latest Instagram posts and how to copy my outfits. If you EVER need styling help, I'd love to give you all advice. Just comment below or shoot me correspondence at hello@thetangerinedesert.com.